At CADA Performing Arts, pupils will gain in self-confidence, self-esteem, strong team skills. These skills are taught in a relaxed, friendly atmosphere and will benefit you throughout your life. We are a family. CADA Performing Arts is a centre for performers, communicators and explorers who use CADA as a place where they can stretch themselves, make new friends, learn new skills and discover how much they can grow. But most importantly to have fun while reaching their potential. 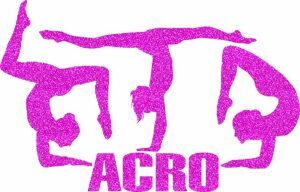 New Acro Course: New Acro Course starting next Saturday 23rd March from 5.30 – 6.30pm. €70 for 6 weeks, please phone 021 4866389 to book a place. 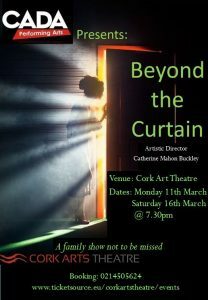 Beyond the Curtain and Born to Sing: A big, big congrats to our wonderful teachers and multi talented pupils for an amazing, thought provoking week of drama in “Beyond the Curtain” and last night our musical show “Born to Sing”. Many thanks to our guest speakers for sharing their beliefs in the Performing Arts and giving great words of wisdom. Ballet the basis of all dance – creating beauty through line. It develops control, strength and posture. Jazz originated from the Southern States of America in the 1920’s. Jazz dance is an umbrella term that can refer to several related dance styles. It has become one of the most popular dance styles in recent years, its fast, energetic movements are performed smoothly without visible strain. We provide the widest possible range of Speech, Drama, Theatre Skills, Public Speaking, Dance and Singing for our students and this is reflected in our schedule of classes. Speech intended to encourage our pupils to attain a good standard of speech. Work on voice and diction coupled with the study, appreciation and interpretation of literature, including Shakespeare. Acting helps our pupils with all aspects of communication. This section covers naturalness, spontaneity, clarity, diction, interpretation and presentation of dramatists, past and present. 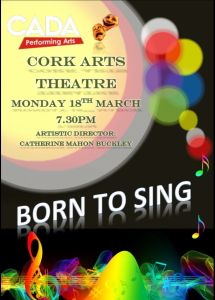 Singing for pupils who wish to develop their singing and voice skills especially for performance. Solo classes can be arranged by contacting the Academy. Singing Group Auditions for to join the class will take place in the Academy. Students will be invited to join this group. Talent that circled the room was destined for greatness. Everyone was free to be whoever, whatever, they wanted. With this exact moment, in this inimitable mirror – time had stopped. I had found its’ purpose, my purpose! It is what is in “The Mirror”. A tribute to CADA from Ben Mulcahy of his time as a pupil. © Copyright 2019 - Cada Performing Arts | All Rights Reserved.